The IAEA says regulators need to rethink their procedures for handling nuclear accidents in the wake of the Japan crisis. (CNN) -- International regulators need to rethink their procedures for handling nuclear accidents in the wake of the crisis in Japan, the head of the U.N. atomic watchdog agency said Monday. 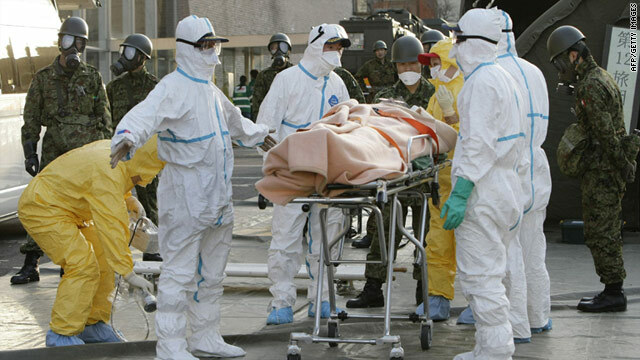 The current framework for responding to emergencies dates back to the aftermath of the Chernobyl accident in 1986 and "reflects the realities of the 1980s, not of the 21st century," International Atomic Energy Agency chief Yukiya Amano said. "The speed at which information now travels and the huge volume of information in public circulation are among the most significant changes since then," Amano said. "Live television and the internet provide constant updates on a crisis situation -- not always accurately -- to a global audience. The responsibility of the IAEA is to provide authoritative and validated information as quickly as possible, but doing this under the current arrangements inevitably takes time and has limitations." Amano said the first priority remains cooling down the damaged reactors at the earthquake- and tsunami-battered Fukushima Daiichi nuclear power plant. But he said authorities should move to revise their playbooks for similar crises "in a reasonable amount of time," and an April conference on nuclear safety would be a good opportunity to start. Amano, the IAEA director-general, briefed the agency's governing board in Vienna after a trip back to his native Japan. During that visit, he pressed Prime Minister Naoto Kan to provide more information on conditions at Fukushima Daiichi, where three of the six reactors may have suffered core damage since the March 11 earthquake that struck northern Japan. Japan's government and the Tokyo Electric Power Company, which owns the damaged plant, have been criticized for failing to share information about conditions there fully and promptly. In Washington, the head of the U.S. Nuclear Regulatory Commission said information coming out of Japan "is sometimes conflicting, and certainly isn't at the level that any engineer would like to have to do a thorough analysis." "I don't believe we have anywhere near a clear understanding of what the plant conditions are like within the reactor building -- what kinds of electrical cabling has been damaged, what kinds of pumps and valves remain operable is a significant unknown right now, " NRC Chairman Gregory Jaczko, whose agency has sent specialists to Japan to assist with the effort, said Monday. Amano told reporters Monday that information coming from Tokyo now is "more extensive," and that damaged instruments at the plant may have prevented Tokyo Electric or Japanese regulators from having all the facts. However, when asked whether the response to the accident was quick enough, he said it was "difficult to say." "We had the information. But I personally think understanding the context was not that easy, and that was one of the reasons I went there," Amano said.